Lizette & Bianca's French carp fishing holiday at Domaine de Bouxier! We arrived at Saturday 20th of July. The trip went well, and we looked forward to have a good weeks fishing. Domaine de Bouxier is very beautiful and looks great on arrival. The large lake only has 7 swims, and is spaced very well. Swims 1 & 2 and 6 & 7 are quite close to each other, which makes them ideal for groups. 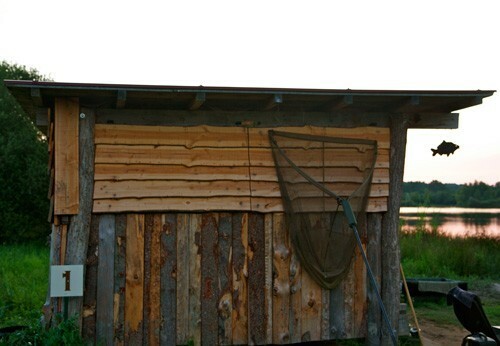 Each swim features a wooden cabin, which is perfect to store material in or use as a sitting area. The lake has a great stock of carp: record fish go up to 25kg, but also many smaller fish to keep you busy during the night. The surroundings of Domaine de Bouxier are beautiful. Unique in terms of peace, tranquility and far away from the civilized world. 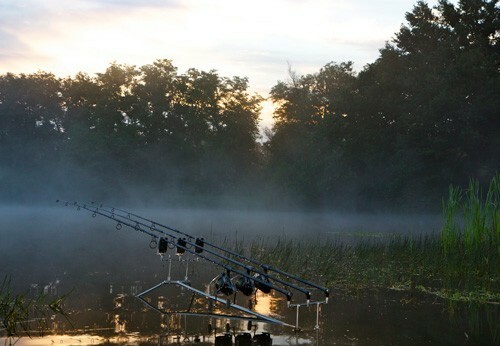 The forest is great for nice walks, and perfect for those anglers enjoying peace and nature. On arrival, we could directly go to our swim, swim 1 was our swim for this week. Jean-Jacques, the bailliff, came around for a chat later that afternoon. At swim 2, 3 anglers were fishing, that used 8 markers to mark their spots... not the best technique and we were a bit afraid that this could influence our results too as there was quite some angling pressure on a small part of the lake. Swim 6 & 7 werre fished as well at the opposite bank, so we had a challenge to catch fish! During the first night, our i-3 indicators kept quiet unfortunately. We choose to bait-up our swims with a large amount of liquid attractor soaked baits. This to attract the carp to come to our swim, despite the many lines at our neighbours. In the morning we noticed that our hookbait were gone, probably due to crayfish and poisson chat... so we choose to use bait protection (large shrinktube) and tigernuts. We used sweet Dynamite Baits White Chocolate & Coconut Cream and Pineapple Tigernut Chrunch. As sweet baits are less attractive for crayfish and poisson chat, we choose these baits, and also used a larger diameter. 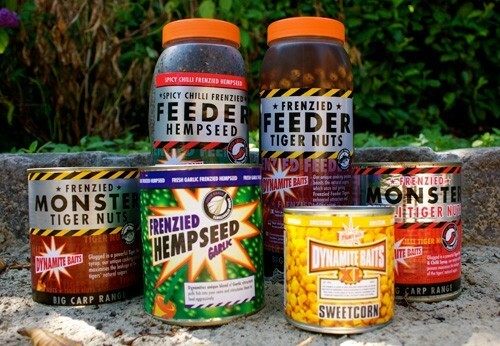 We also baited up with Frenzied Mixed Particles, maize, hemp and Chopped Tigernuts. This proved to be a very succesful mix, as we landed a 15kg carp the second night! The owner of the lake came to visit us too and was very friendly. He informed us that the total carp stock of the lake was still not fully known, which left room for some welcome surprises. Next to Domaine de Bouxier, he owns the adjecent Etang de Mont too. 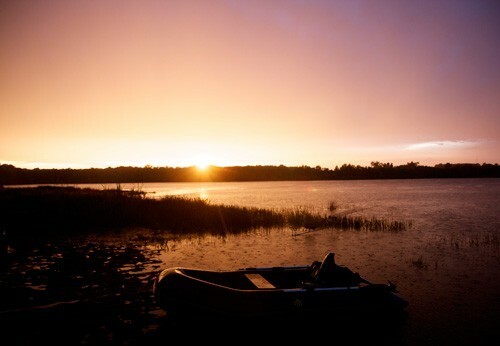 Many anglers use the opportunity to fish these 2 lakes for 2 weeks in a row... a clever idea! Also, at short distance, a luxurious gite can be rented out as well to the family. Our rods were well spread out over the swim, and some were placed towards a forest, but these weren't succesful for the first night. Most takes came from rods close to our own bank at about 2-3 meters depth at a well baited-up area. To avoid line pressure, we didn't fish during daytime. At the third day, we caught a 14.7kg mirror at the 15mm White Chocolates and a Whitypool Rig. A lovely mirror, we were very pleased with it! As it was very hot, there was quite some weed too, so we fought the fish carefully. Good It is very important to have a close look at the depths and bottom structure. There are many hard patches to be found, as well as some soft muddy parts and weedy areas. We didn't find any obstacles. As boats are allowed, it is recommended to bring one. The next morning, we were awaken at 6 o' clock in the morning by a hard take. Many meters of line were taken from the spool... Lizette runned towards the rod and managed to land a 'grande dame' after a vicious fight. What a beauty! This was the best fish of our week and caught on 2 double tigers at a 20lb combi-rig Camo Core and ACE Razor Point BBP size 6 hook. We loved her nice shoulders and round belly. Magic! With 23.3kg a great fish, of which we were very pleased. Domaine de Bouxier is a great lake for anglers looking for piece and rest, that like to fish in a quiet environment. Carp anglers who really come to fish. Next to that, the cabins on each swims are great! It is important though to bring boots and/or waders, as the swims are natural and have a clay bottom. Bring a boat and depthsounder to find the hotspots of your swim. Baitwhise, tigernuts and hard sweet boillies are a must... especially in the summer months. We used Shrinktube Bait Protection, and this worked great. ArmaMesh didn't help unfortunately against the crayfish and poisson chat, so come well prepared. Take your time to discuss swims and areas with your neighbours, as the bailliff is not ofter around. Do that, and you will have a good time at this challenging lake!